There is a very popular proverb in our native language “Baro mase tero parbon” meaning we observe thirteen festivals in twelve months. The Bengali community is noted for their fondness for observing festivals. And if festival comes, can food be far behind. Every festival comes with its own signature food. For example, last week it was Makar Sankranti, a major harvest festival celebrated in various parts of India. 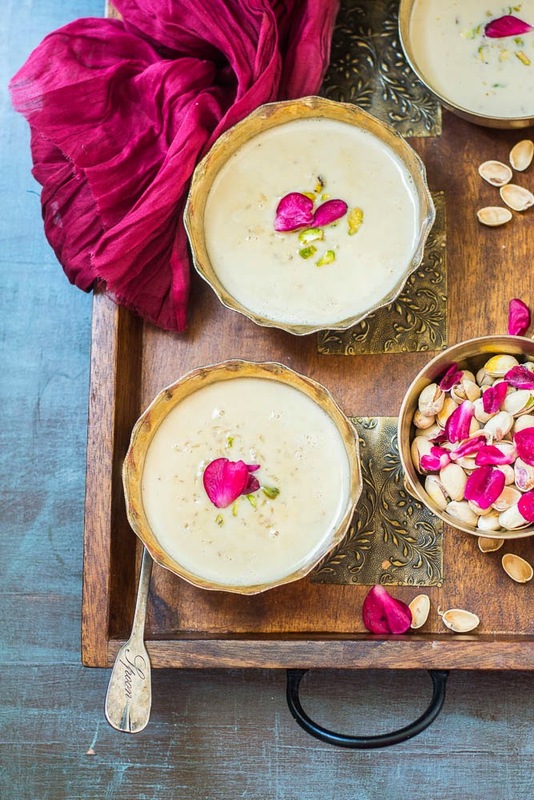 In Bengal, this particular festival is closely tied with some special foods – pithe/puli and Payesh. These are all sweet dishes made out of rice. These names bring back the old good memory of our childhood, when our moms and grandmas used to make different types of “pitha”, with different stuffing inside and we used to finish them at once. So this year when I started getting Happy Makarsankranti message in facebook, I couldn’t control my temptation to make one of these dishes. Went to check my pantry and didn’t find any ingredients for the first two. But everything I had was sufficient to make Payesh. So today I will share the recipe of Nolen Gurer Payesh. Payesh is a dessert that goes well any special Bengali occasion like birthday, rice ceremony or house warming. It was equivalent of cutting cake before we were influenced by western methods of celebration. 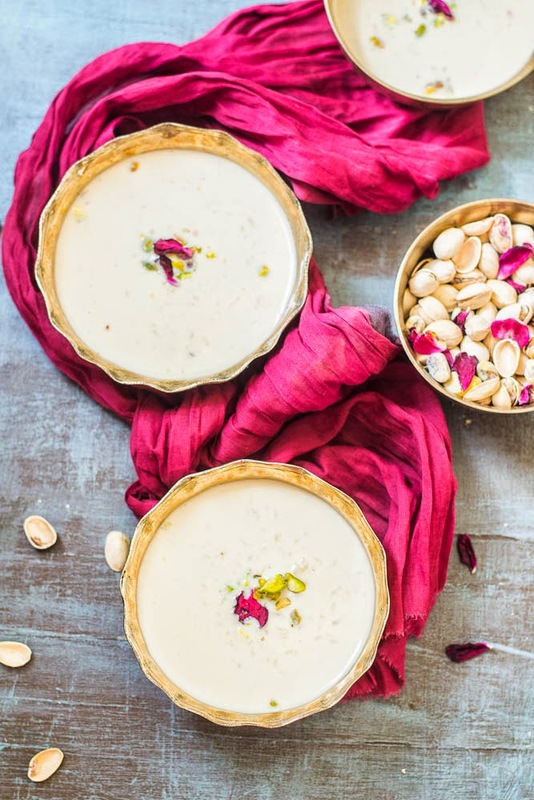 Payesh can be made in many different ways. This particular variation of Payesh is made with Nolen Gur / khejur gur/Date Jaggery that is used as the sweetener instead of sugar. This Jaggery is available fresh during the winters and many people eagerly wait for fresh Jaggery to come in the market during the winter. 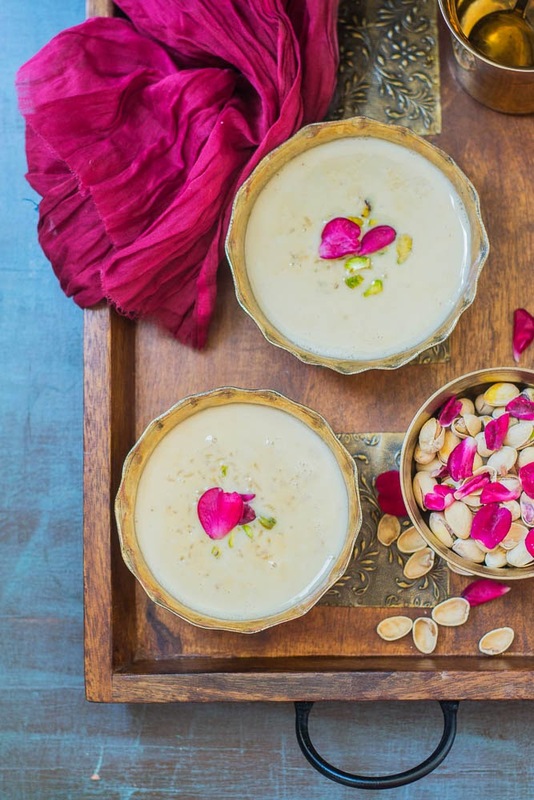 The smoky aroma of bowl full of Payesh is something that any Bengali would love to die for. 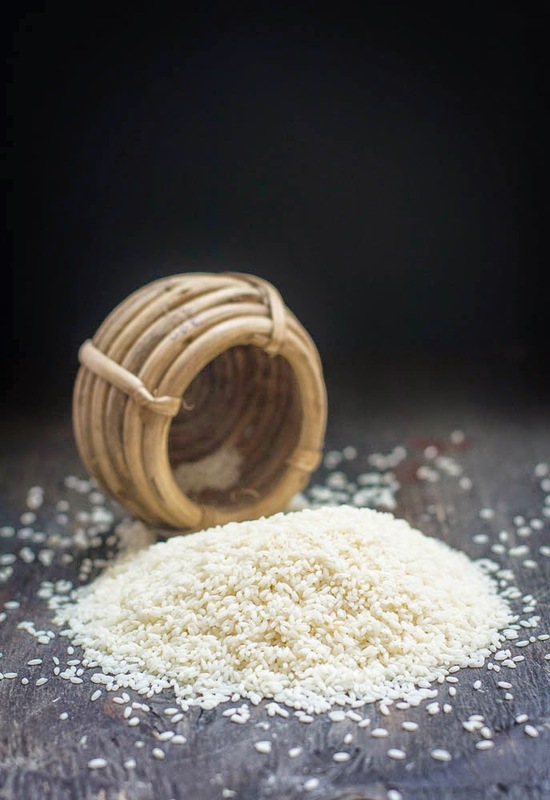 The dish is pretty easy to make and needs only little patience except three basic ingredients – Gobindo-bhog Chal ( fragrant rice ) Nolen Gur ( Date Palm jaggery ) and milk. The fragrant Rice, traditionally used in making the Bengali Payesh is a special type of rice called Gobindo-bhog. It’s a short grain, white, aromatic and sticky rice. It’s grown mainly in West Bengal, India. There are many traditional Bengali recipes that are intended for this type of rice specifically. It has a sweet buttery flavor and a potent aroma. The close alternative of this rice is Kala jeera Rice, that is available in most of the Indian stores in USA. You can also use Basmati rice if you don't get any of these two. Pistachios : 2-3 tablespoons, chopped or any nuts, you like. 1.In a thick bottom pan, boil the milk on low-medium heat, stirring continuously. 2. Wash and soak the rice in water for 10 to 15 minutes. Drain out. 3. Heat the ghee in a small pan, add the rice and fry for couple of minutes. 4. Once the milk starts to thicken, add the rice. Stir it constantly on low to medium heat so that the bottom doesn't get burnt. 5. When rice is cooked, add condensed milk and stir to mix it nicely. Let it boil for couple of minutes. 6. Put the solid jaggery in Microwave. Cook for 30 seconds to 1 minute it will become soft. Now add this jaggery to the Payesh. Again Boil for 4 to 5 minutes by stirring it continuously. Sometimes, milk curdles when you add the jaggery to the milk. So add the jaggery only at the end and add a small quantity at a time and check. Otherwise there is a risk of the milk getting spoilt. 7. Check the sweetness and switch off the gas. Add chopped pistachios and serve warm or cold. You don't need to break or grate the jaggery, just put it in microwave, it will become soft in a minute. Sometimes, milk curdles when you add the jaggery to the milk. So add the jaggery only at the end and add a small quantity at a time and check. I am a big sucker for desserts and this one is no exception. Looks fantastic and the pictures are wonderful. Nice desserts, I like Rice Pudding very much and really it will give lot of benefits. Jaggery is also having lot of benefits. Thank you for the share. 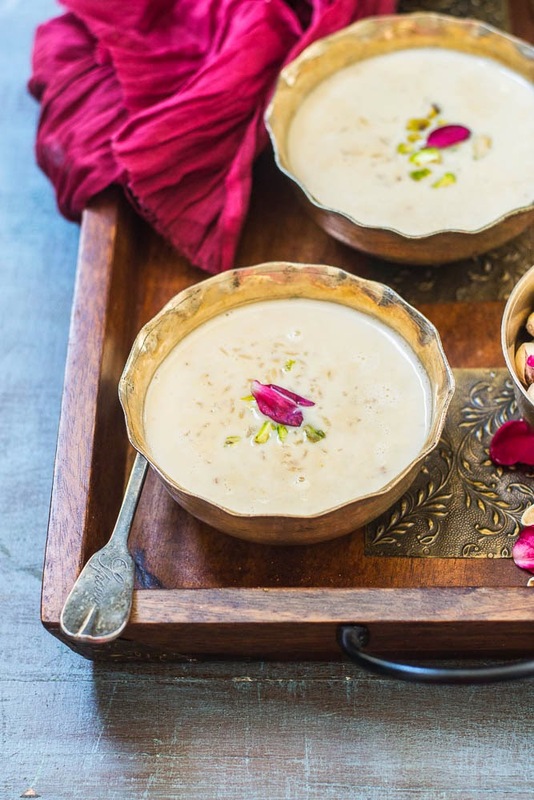 Kheer looks so delicious and creamy....tempting clicks! its look delicious. i didn't try this type of dessert but i definitely try this. but i am a fresh cow milk lover so can i use a cow milk for this recipe. I am very grateful to read your blog. nice n useful information. Organic Products are better to use as they are eco-friendly and safe. They do not cause any side-effect. thanks for sharing.